Meditation is meant to help your mind with agitation and stress. It is the stress that causes the agitation, and that is something most people have to deal with throughout the week. It has seen shown to increase the levels of anxiety within people, and the number taking medication for anxiety has increased. Meditation is a tool that allows you to take control of your anxiety and stress instead of relying on prescription medication to do that for you. It is healthier, and the benefits far outweigh any inconveniences that may be used to argue against it. Meditation is proven to teach people how to be more focused and concentrated on what activities they perform on a daily basis. Many overworked professionals have turned to this ancient technique to help deal with the professional stress such as those working in busy emergency rooms or those that have time-demanding jobs. It is known to help improve your overall brain function and energy levels as it lets your body connect to its truest source of energy. Living a Healthier lifestyle is the goal of many, but with time restraints from family and professional obligations, it is often difficult to achieve that goal. 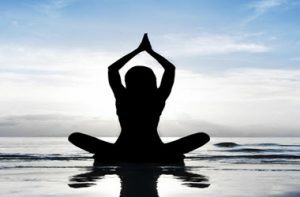 Meditation has found that it gives those who practice it the ability to be more focused and the ability to take on additional challenges that previously they failed at achieving such as quitting smoking, controlling weight gain and more. Another advantage of mediation is the self-awareness that affords those that practice it. This is especially true with those that had feelings of violence in the past who have found that art form has taken those feelings from their minds acts they learned techniques towards awareness that taught them how to remain calm and aware of stress indicators. In a worth that seems ever to be getting faster paced, many find happiness is lacking in their lives as they juggle the different demands on their time. 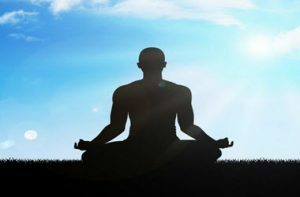 Meditation studies have shown regular weekly meditation sessions has increased the levels of happiness that are felt due to the brain providing signals to the prefrontal cortex, the section of the brain responsible for positive emotions while at the same time reducing those signals that generate negative emotions. Finally, the art of meditation has shown that many users have increased acceptance of their faults, whether personality related or limitations. It helps people to accept who they are and gives a reality to live but in a way that is not focused on the negative but instead the acceptance of oneself. This is especially important for those who have suffered life-changing accidents or been diagnosed with illnesses that requires life changes. Brain injury patients have furthermore found mediation allows them to give their brain the chance to heal and rewire and accept the limitations that follow after that process has taken place.